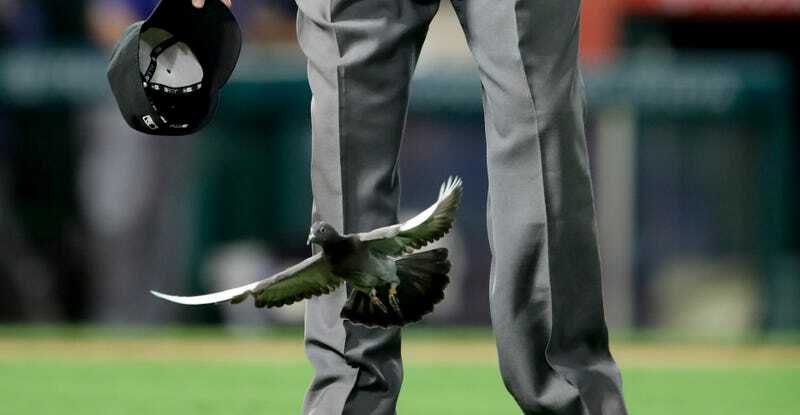 The Rangers and Angels were joined by a very special guest on the infield tonight: a pigeon, who hobbled around with a seemingly injured wing until someone was finally brave enough to step up to the plate and rescue the poor creature by himself. 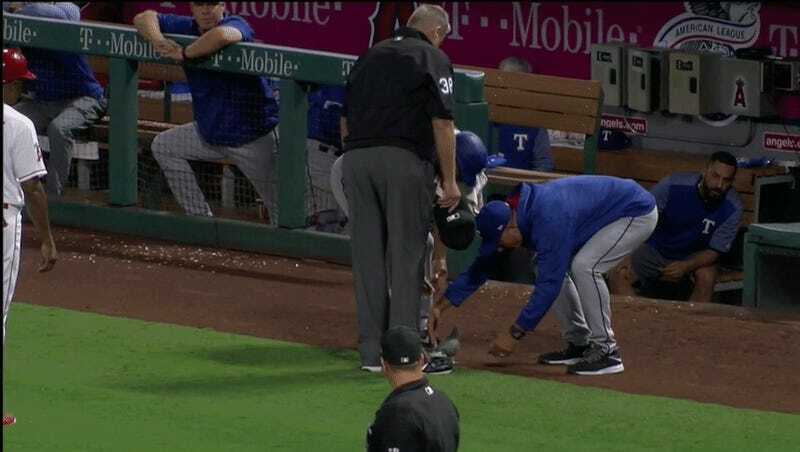 That would be Texas manager Jeff Banister, who scooped the bird up and took it, uh, somewhere? It’s not really clear what Banister—who is not in his home ballpark here—did or planned to do with this bird. The Rangers broadcast joked that the pigeon would become a post-game meal for the team, which, let’s hope not, but such a fate honestly might be better for everyone involved than something such as letting the pigeon run away only to be rescued by a local wild bird outreach center and then becoming the focus of a team-versus-shelter custody battle. Or something like that.